Boris Johnson’s widely criticised trip to Afghanistan when a crucial vote was due on Heathrow’s third runway cost the British taxpayer at least £20,000, The Ferret can reveal. There were calls for Johnson’s resignation as foreign secretary in June after it emerged he was in Afghanistan on the day MPs voted on a divisive Heathrow expansion plan he had strongly opposed. The timing of his trip to Afghanistan was widely condemned and Johnson only spent nine hours in Kabul. Critics have now alleged he “misused” public money in order to avoid the vote on 25 June and to prevent personal political embarrassment. Johnson had objected to a third runway at Heathrow for years. He even told fellow critics he would “lie down with you in front of bulldozers” to prevent it being built, as the airport is close to his Uxbridge and South Ruislip constituency. Under collective responsibility cabinet ministers must vote with the government on key issues, meaning Johnson would have had to resign as foreign secretary to oppose the project. He subsequently resigned on 9 July, but over Brexit. The Ferret submitted a freedom of information request to the Foreign and Commonwealth Office (FCO) asking for details of Johnson’s trip. We asked for the full cost of the trip and dates of when discussions on it began. The FCO refused to answer most questions but did disclose that the cost to the taxpayer for three staff to accompany Johnson was £19,366. This included three flights at £6,322 each, a total of £18,966. 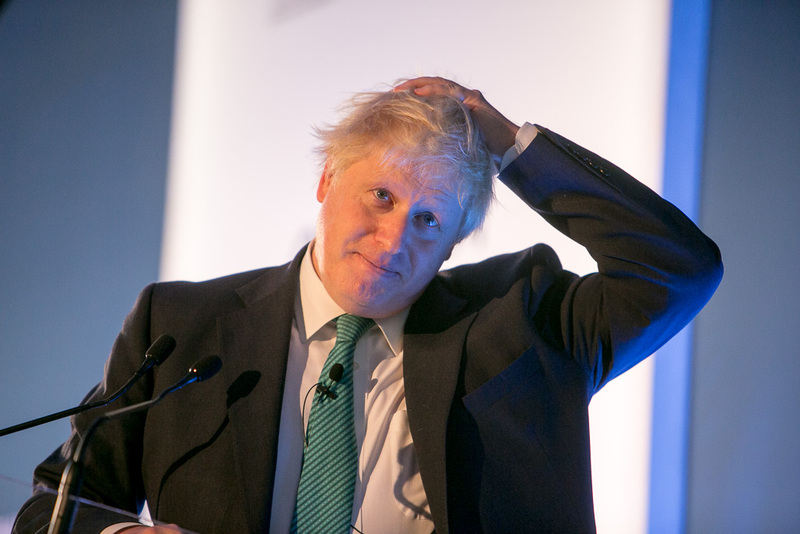 The FCO refused to give the costs of Johnson’s flights or any other expenses, citing exemptions under the Freedom of Information Act (FOIA). According to the FCO, the information on Johnson’s travel was exempt from disclosure under section 22 of the FOIA because it was going to be published “in due course” on the FCO website. This was “a qualified exemption which is subject to the public interest test. We have considered the public interest in releasing the information against the interest of withholding it,” the FCO said. The FCO also refused to reveal costs of any security personnel who accompanied Johnson on his trip, saying that it did not hold that information. We also requested dates of when the trip was first discussed. But the FCO again refused to say, arguing that it was not in the public interest to disclose the information under Section 38 of FOIA covering health and safety. The FCO reply acknowledged that there was “some public interest” in disclosing the information to demonstrate openness and public accountability. “However, we balanced these against the grounds for non-disclosure, which, in this instance, includes the risk of undermining personal safety and security measures for visits of this nature,” the FCO said. Critics have, however, condemned Johnson over the cost to the taxpayer and the FCO over the lack of transparency over the trip. Everyone and their dog knows that Mr Johnson is a snake oil salesman. “Everyone and their dog knows that Mr Johnson is a snake oil salesman,” said Scottish Greens transport spokesperson, John Finnie MSP. In the lead-up to the Heathrow vote, there was speculation on what position Johnson would take but it later emerged he was given permission to leave the UK for the vote, on which Tory MPs faced a strict three-line whip to back the plans. Questions were asked of Johnson’s whereabouts but the government refused to say where the foreign secretary was. It only emerged he was in Afghanistan after the Afghan government tweeted images of Johnson and its deputy foreign minister, Hekmat Karzai, in Kabul. International trade minister Greg Hands stood down the week before so he could vote against the runway, despite also reportedly offered the chance to go overseas on official business and miss the vote. People who called for Johnson’s resignation over the issue included prominent Tory backbencher, Sarah Wollaston, who said he should have resigned “on a point of principle”. Johnson has not responded to a request to comment. The House of Commons backed a third runway at Heathrow. Photo thanks to Chatham House via CC by 2.0.